O.M.G this December party lineup is on fire. From epic beach parties to incredible girls' night out – take your pick! We’re running out of time, people! 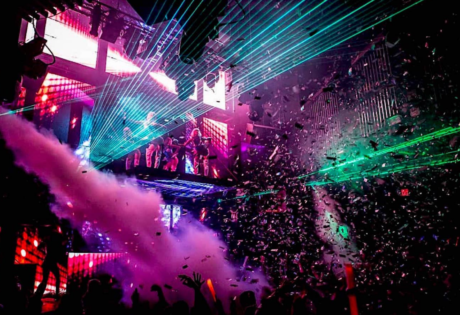 Make the last of the ‘ber months count with this incredible line-up of parties. 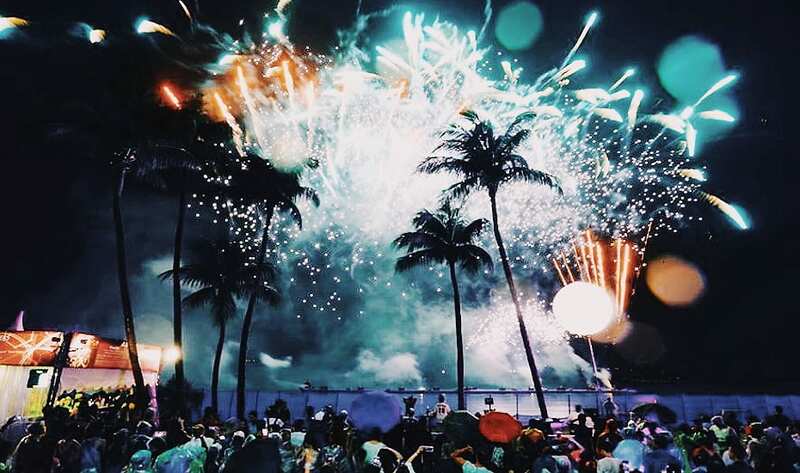 Take your pick – weekend ones, Christmas shindigs and mad NYE blowouts. Well, 2018 isn’t going down without a bang! Newsflash: The Great Escape is back! That didn’t take too long, did it? After shutting shop at the iconic Golden Mile Tower carpark back in September, this unconventional club has found a new home. Drop by Shaw Towers’ rooftop carpark on Friday, 14 Dec for the unofficial comeback party. Hosted by Misshapes, DJ11 and Sham and Baba Crucified will be taking over the music. Go on and dance the night away. If your idea of a good night revolves around a good movie and booze, The Projector’s got it down. This cool indie cinema will be debuting the highly-acclaimed original Buena Vista Social Club documentary. Havana Social Club will then take it to the dancefloor with their Cuban and Latin American beats. 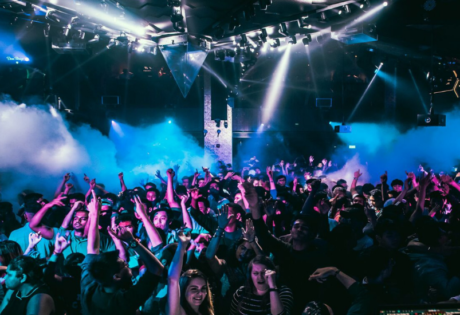 DJ Sean Tyas takes over Canvas Club as he busts out the coolest remixes worth dancing into the night. Tyas burst into the scene ever since his debut hit number one on Beatport and he’s been giving us some solid remixes ever since! Book in advance for free entry and a sweet complimentary round of Dirty Fellow shots. Channel your inner Carmen Miranda and add a hint of la rumba to your Sunday afternoon. Trust us, you’ll want to bring your dancing shoes as DJs Yuma, Haihan and Kyle will be helming the entertainment with merengue, salsa, bachata & Latin beats. You might want to call in sick the next day. We won’t tell anyone! If you’ve followed Eatmepoptart over the years, you’ll know they’ve come a long way from throwing a simple party. Well, they’re anything BUT simple now and they’re taking it to the waters on the Stewords Riverboat. That’s right, we’re talking two floors of partying like there’s no tomorrow. Set the main dancefloor on fire along with DJs weelikeme and KiDG, as they scratch an eclectic mix of anthem faves, classics, future hits and “Electric Feel 80s” numbers. On top, channel your inner Freddie Mercury and rule the stage with a brand new rock ‘n roll karaoke bar. Put on your ugliest Christmas sweater (your grandma will love it!) 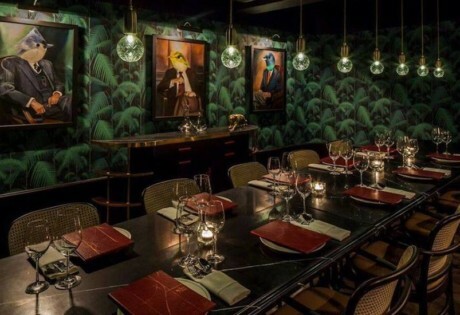 and party on as Lavo’s weekly party series takes the festive route. Stay true to the dress code to get yourselves in for free. We might not be gifted to experience snow in Singapore but 1-Altitude is pulling all the stops to recreate a whimsical Winter Wonderland at the highest standing point in town. Lindo Martinez, One Avenue and DJs Leonard Tan C W, DJ Jack T and MC J Soopa will keep you entertained through the night along with jolly festivities and a magical snowfall. Celebrate Christmas Eve with sick genre-bending styles from DJ Duo, No Vacancy. The boys are currently working on an EP that will feature Bass House House, Deep House and Hip Hop tracks so you might hear a sneak peek. Oh, and cover charge is on the house. So you think you’ve been nice this year? Bar Rouge would like to change that for you. Throwing a Christmas even bash, DJ Kenneth F and Styluxtakut will be spinning dance music all night long. If you weren’t on the naughty list, you might just be after this bash. Kicking of Zouk’s NSFW (No Shame Festive Week) is this crazy X’mas eve party. We hear it’s gonna be everything you love (and hate) about the most wonderful time of the year. Wear those anti-glare glasses, it’s gonna get gaudy. Think funky photo booths, dance performances and people dressed in their flashy best. 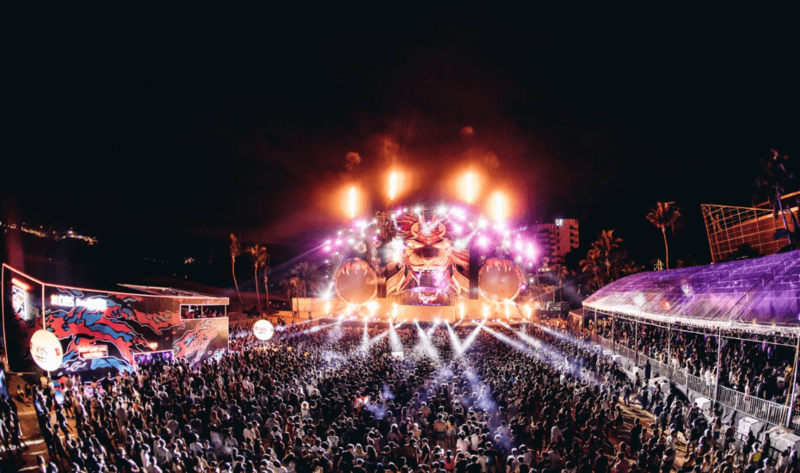 Hong, Zushan and Jeremy Boon will be serving a limitless supply of EDM in the main room. And Ghetto & Nash D will take hip-hop to Phuture while it’ll be chill and open format by Lenerd & Che’Molly upstairs at Capital. Better rush and make those NYE plans. 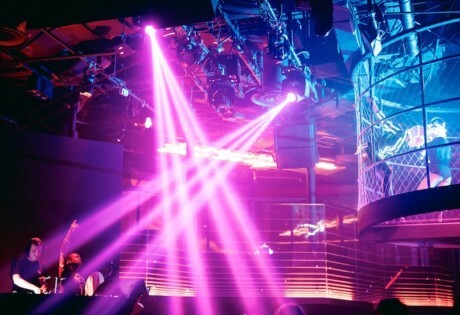 This list of the best countdown parties in Singapore has you covered. Chop, chop! Celebrate the launch of Zendyll Records as they bring a new wave to the global music eco-system. Top gun, Hugo will play co-host, along with a night of curated music experience by Jon Chua JX. The party starts on a high with performances by local acts The Sam Willows, Tabitha Nauser, Fariz Jabba, Estelle Fly, Evanturetime, special guest performers and a live DJ to keep you on the dance floor till late. 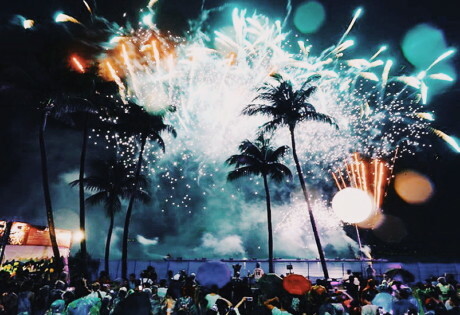 If you’re a certified party animal, you’ll probably know that December is synonymous with ZoukOut. With performances by Dimitri Vegas & Like Mike, Galantis, Jeffrey Sutorious, KSHMR, Timmy Trumpet & W&W, brace yourselves for one epic night. It is the mother of all beach parties after all. Set off to a jamboree of the classic hip-hop and R&B tunes and the freshest beats as the best underground bunker in town drop the freshest beats that’ll probably rip up the dance floor. Party till you’ve danced every last bit of energy out of you. Get the girlfriends together for yet another rocking night at our final Girls’ Night Out party of the year. 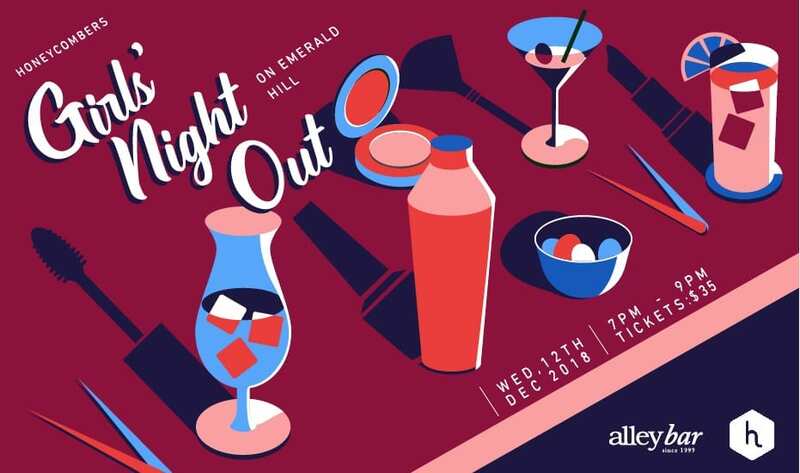 You know we love to show you a good time – so expect free-flow tipples and canapes, a make-your-own cocktail booth, a shopping sesh with multi-label boutique Moxie, mini makeovers with Excel cosmetics from Tokyo and fab prizes throughout the night. You know how these tickets sell out in a jiffy so book them stat. Have you tried our quiz-mas?